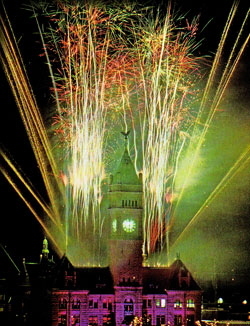 Get a Quote | Ocean State Pyrotechnics, Inc.
Getting a quote for your display is much easier than you might think. Give us a description of your event, price range, and a site address. We will then send a representative out to do a site inspection. After calculating the size of your location we will work with you to custom design a display tailored to your site and event. Need a full on pyromusical? Not a problem. Area too small for a traditional display? We can custom build a “Close Proximity” display for events or venues that require a lighter touch. These can also be done to music and are a great addition to weddings that sometimes held in smaller locations. Copyright © 2019 Ocean State Pyrotechnics, Inc.